The Faculty of Law’s tuition fees pay for all the things (world class faculty, clinical and internship opportunities, combined degree programs, career services, to name a few) that allow us to offer one of the best legal educations in the world. Our comprehensive JD financial aid program designed to meet our students’ financial needs, is awarded solely on the basis of financial means. Admissions decisions are made independently of financial aid decisions. Unlike many Canadian law schools that use financial aid as a tool to recruit students, we reserve all of our financial aid resources for students who actually require financial aid assistance, rather than simply awarding merit-based entrance scholarships. Our graduates are hired by the top employers in Canada, New York, and London, and earn internationally competitive salaries. Each year, approximately 95% of our JD students secure articling jobs. This hire rate is by far the best in the country, and reflects the high opinion the legal professional holds for our students and the Faculty of Law’s program. 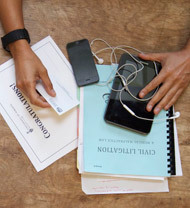 If, like many of our students, you choose a lower-paying career with a legal aid clinic or small specialty law firm, we will continue to provide financial assistance for up to ten years after graduation through our Post-Graduation Debt Relief Program, the only program of its kind in Canada. The University of Toronto respects your privacy. Personal information that you provide to the University is collected pursuant to section 2(14) of the University of Toronto Act, 1971. It is collected for the purpose of assessing the applicant’s eligibility for financial assistance. At all times it will be protected in accordance with the Freedom of Information and Protection of Privacy Act. If you have questions, please contact sara.faherty@utoronto.ca.